By Sia in Gadgets. May 16, 2017 . Amazon isn’t stranger to the concept of smart home systems with an embedded digital assistant. After all, the company was the first to introduce such a device by way of the Amazon Echo, a smart speaker powered by Alexa that was released a full year before Google got into the market via the Google Home. 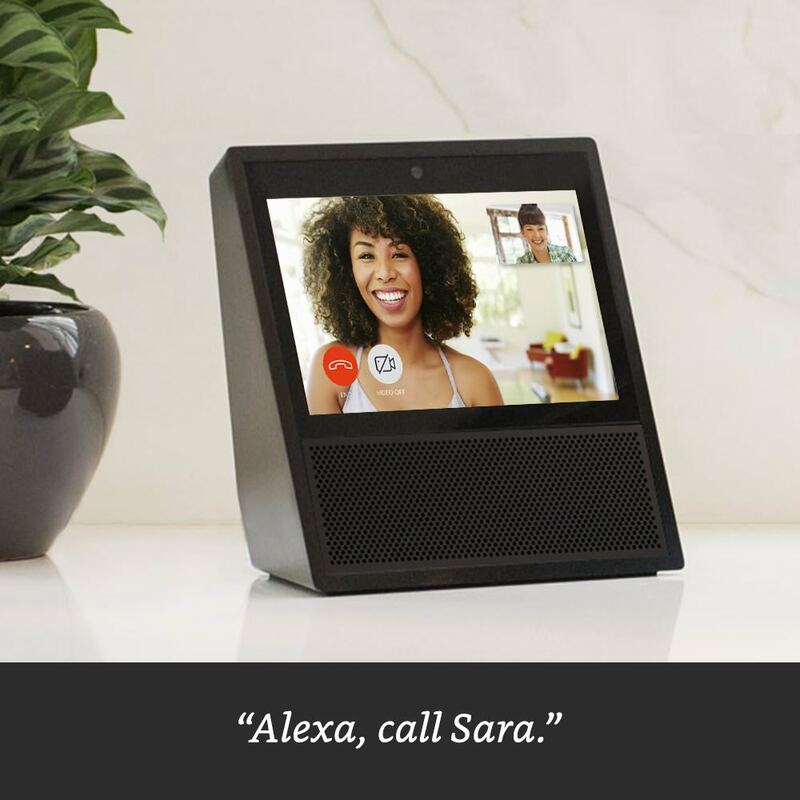 Since then, the company has experimented with its Echo line of Alexa-powered smart devices, ranging from variants of the original Echo speaker such as the Echo Dot and the Amazon Tap, or the webcam-like Echo Look. Now, the company is ready to release yet another Echo device, but this one isn’t just a revision of the original smart speaker. Unlike the currently available Echo devices, the upcoming Echo Show will be the first device in the line to sport a screen. Echo Show is the latest entry in Amazon’s line of Alexa-powered Echo smart devices. New to the Echo Show is the presence of a seven-inch screen, which allows users to view videos or other content. In addition to the screen, the Echo Show sports eight microphones with beam-forming technology and noise canceling, allowing it to hear your voice regardless of your location in the room. Other notable parts of the Echo Show include a front-facing camera, as well as the ability to connect to your house’s Wi-Fi network. 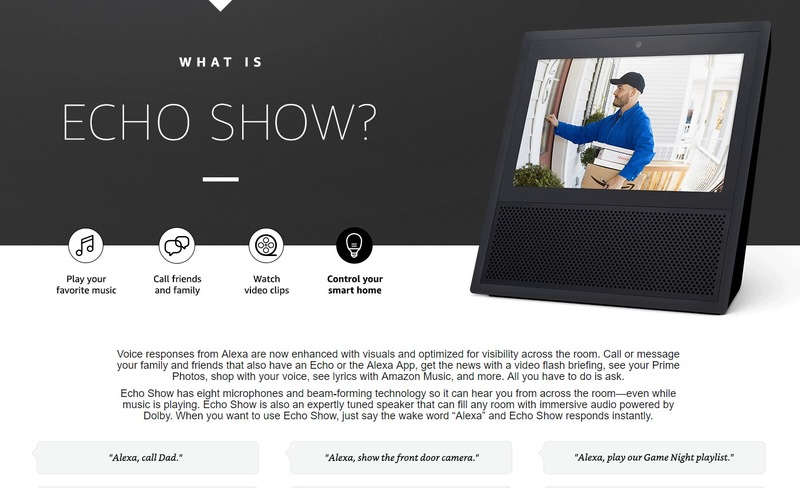 As the device is powered by Alexa, Echo Show has all the features of the previous Echo devices. However, thanks to the addition of the screen, the Echo Show can do some things better than its predecessors. For example, you can look up YouTube videos with it, prepare a to-do list, and thanks to the front-facing camera, you can even do video calls. Seeing as the Echo Show is made to be a smart home hub, the device can also connect to your other smart home devices (i.e. smart cameras, smart light etc.) via Wi-Fi. Once connected, you’ll be able to control your home’s smart devices through it. 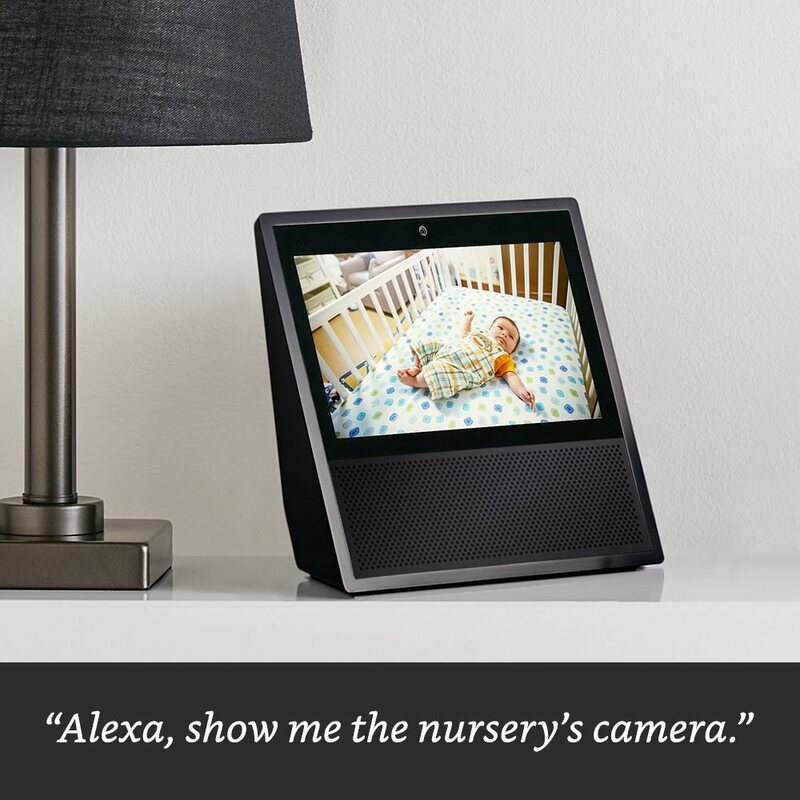 For example, once you’ve linked your smart security camera to your Echo Show, you can view live feeds of the camera through the device itself. While the addition of the screen makes the Echo Show bigger than the speakers that came before it, the device itself is still highly portable, so you’ll still be able to take it along to various parts of the house. If the Echo Show has managed to spark your curiosity, you’ll be pleased to know that the device is now available for preorder at Amazon. You can get it in either Black or White colors. 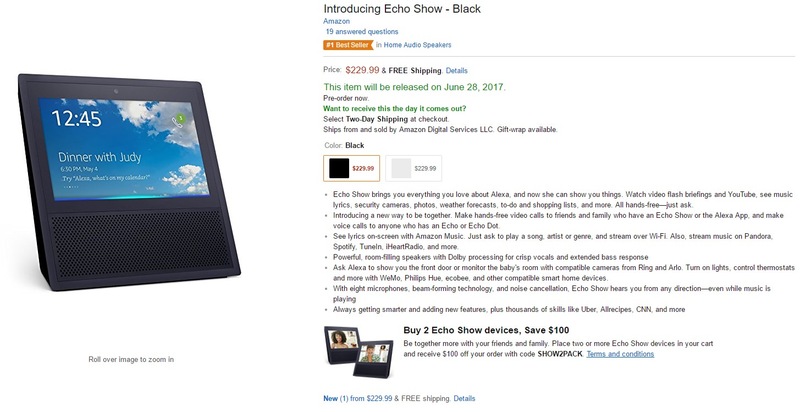 For those who are looking to get multiple Echo Shows, Amazon will offer a discount if you’ll order 2 or more Echo Show devices by using the code SHOW2PACK during checkout. As for general availability, the Echo Show currently has an expected release date of June 28th, 2017.